Oscar®-nominated filmmaker Josh Fox, he of the burning water tap, loves to scare people with the provocative word “fracking” and misleading images and claims of its potential to damage the environment, specifically groundwater. 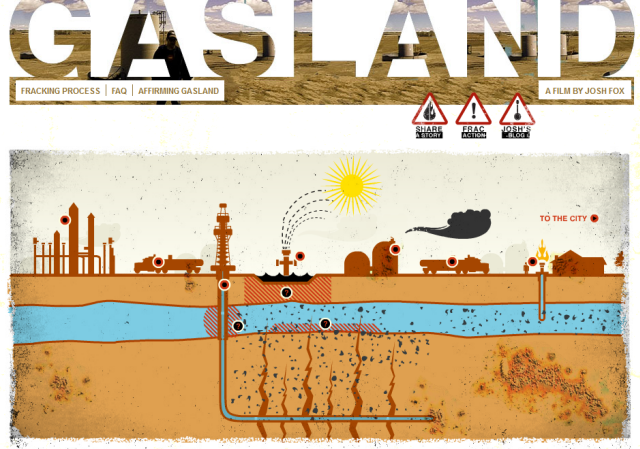 To wit, this screenshot of a cute little animated .gif at Fox’s website gaslandthemovie.com. “Research is underway”, indeed. How about we look at some of that research? 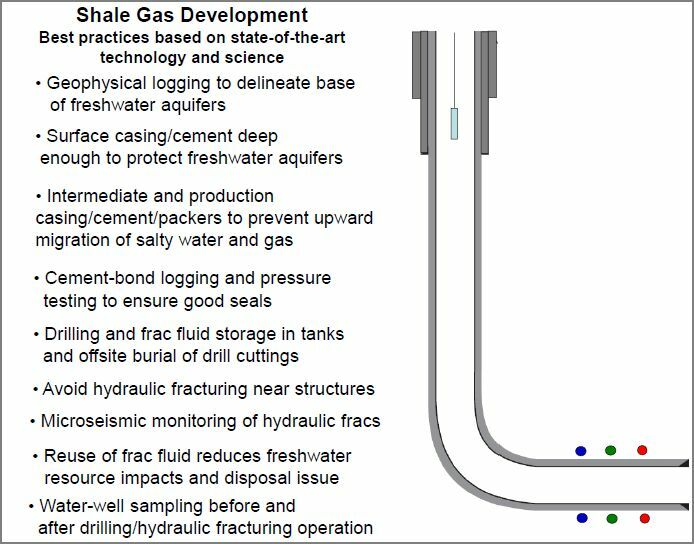 I came across an excellent presentation (.pdf link) on the subject of Marcellus drilling and its potential to affect groundwater sources. The author is John H. Williams, a groundwater specialist with the U.S. Geological Survey who runs the New York Water Science Center in Troy, NY. I will steal a few of Mr. Williams’ images and refer to a few of his slides. Oil and gas operators are interested in understanding the mechanisms by which hydraulic fracturing works. To that end, they have employed microseismic imaging to map the propagation of an induced fracture while the frack job is in progress. The cracks and ruptures induced in the rock at depth can be recorded by arrays of surface microphones and mapped in three dimensions (Williams, slide 39). The graph below depicts the results from over 350 frac jobs. The fracs were sorted from deepest to shallowest, and for each one, the vertical depth of the wellbore was plotted, along with the shallowest and deepest detected rupture detected by microseismic. Vertical scale represents depth. 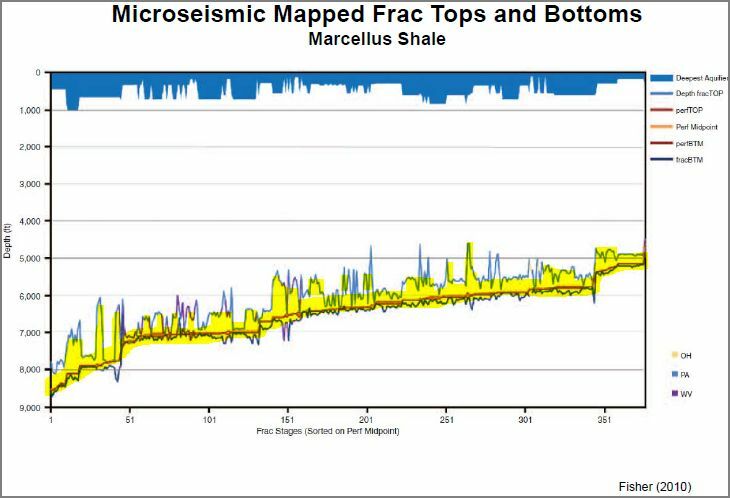 The red line portrays the depth of the well, and the yellow highlight depicts the zone above and below the well affected by the frack. Blue is the depth of freshwater sands. Fractures tend to grow up, not down. The Tully Limestone is widely regarded as a zone overlying the Marcellus Shale which tends to stop further propagation of the frack job (Williams slides 5 & 37). Of 350+ observations, the maximum vertical fracture extended about 1,000 feet above the well. 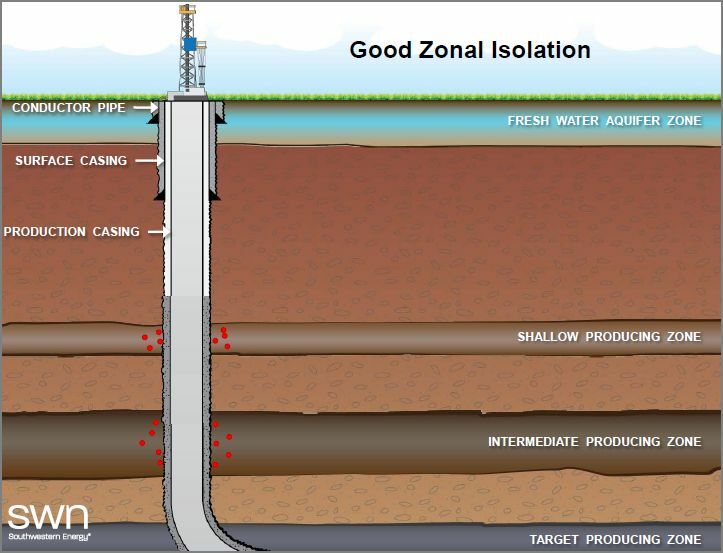 For all 350+ wells, a cushion of at least 3,000 feet separates the fracture zone from groundwater supplies. From all practical standpoints, it is physically and geomechanically impossible to induce a fracture in a well below 5,000 feet that extends into shallow freshwater sands above 1,000 feet. Fox’s cute little cartoon may be effective propaganda but it is not rooted in science or in any real world observation. Does this mean that groundwater contamination is not a concern? No, it just means that we shouldn’t waste time on fracking as a bogeyman. The slide (Williams 55) at right shows the construction of a typical Marcellus horizontal well. Groundwater is protected by two strings of steel casing, each secured in place with several hundred feet of cement. Groundwater protection depends on the integrity of these casing/cement systems. Note that these slides were originally generated by Southwestern Energy, a Marcellus operator. As the detail (slide 56) shows, failure is possible. It is much more likely that the source of pressure that would compromise the surface casing would be shallower sands with cement jobs that break down over time. 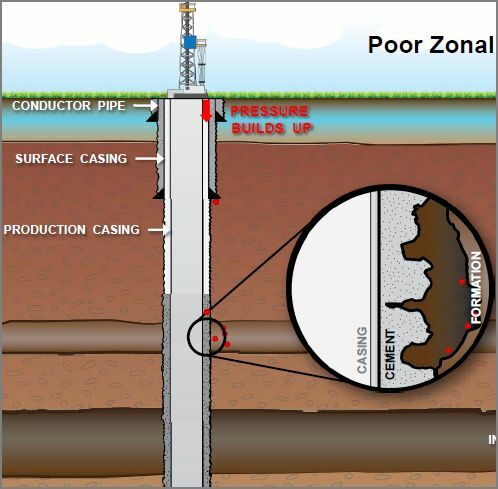 Note that surface casing integrity issues have nothing to do with horizontal drilling or fracking. You have the same concerns with a vertical well. As Williams reminds us, the first well drilled for gas was in Pennsylvania nearly 200 years ago (slide 9). Fracking is new, and is a convenient scapegoat. For groundwater protection, I’d rather be near a new Marcellus well than an old vertical well drilled in the 1930s or ’40s. The new wells are more tightly inspected and have to conform to modern regulations. The operator of an $8-10 million well is unlikely to take a stupid shortcut that might compromise his entire investment. He is much more likely to conform his operation to the “best practices” suggested by Williams in slide 60 (at right). In conclusion, there are plenty of factors that permit fluids to travel from the belly of the earth to the surface. Even if what you’re saying is technically true, it is only true in circumstances where subterranean features are accurately predicted. Obviously a prediction is only a prediction, and there’s a wide margin of error. I don’t think you read what I wrote. There exists a plausible path for groundwater contamination. 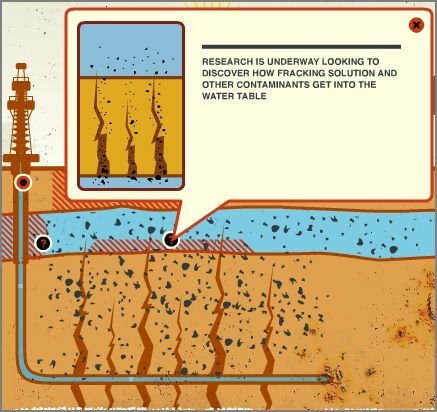 The culprit is the integrity of the old vertical wells (surface casing/cement that does not adequately protect shallow sands), not fracking. The good news is, the closer the (real) problem is to the surface, the more it can be managed/solved. Not much help, though, for Mr Fox who just wants to shut down drilling. You own link says that it has been brought under control. And doesn’t it seem a little dubious that Shell is partners with DEP in the investigation? How can the culprit investigate it’s own crime? Answer: they can’t. If you think otherwise, you’ve drank their Kool-Aid. Fracking is not the culprit. The author compile similar microseismic data in the Barnett & Eagleford (TX), Haynesville (LA), Woodford (OK) and in the D-J Basin (CO). In all cases there is a reduced tendency for vertical fracking the shallower the well. There is a very good geomechanical reason why this is true.